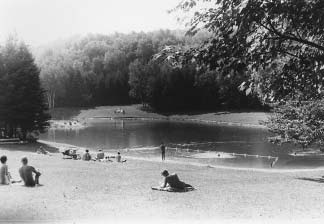 A discussion of the reasons for the failure and closure of Glen Echo Family Nudist Park north of Toronto, Ontario and an interview with Stan Wortner of Sunny Glades which, because of the closure of Glen Echo, is the oldest, continuously operating, naturist club in Ontario. The song we play is The Bumble Bee Invaded a Nudist Colony by Billy Mitchell from a 78 RPM recording done in the 1920’s and found at the Internet Archive. Click here for more information about Sun Valley Gardens and Karl Ruehle who are referenced in the Stan Wortner interview. The book referenced in the show, Au Naturel: The History of Nudism in Canada by James Woycke Ph.D., can be previewed at Google Books by clicking here.